Whether you use the Pen tool or the Pencil tool in Blend, you’re generating a Path element, which just defines a series of line segments or curves. 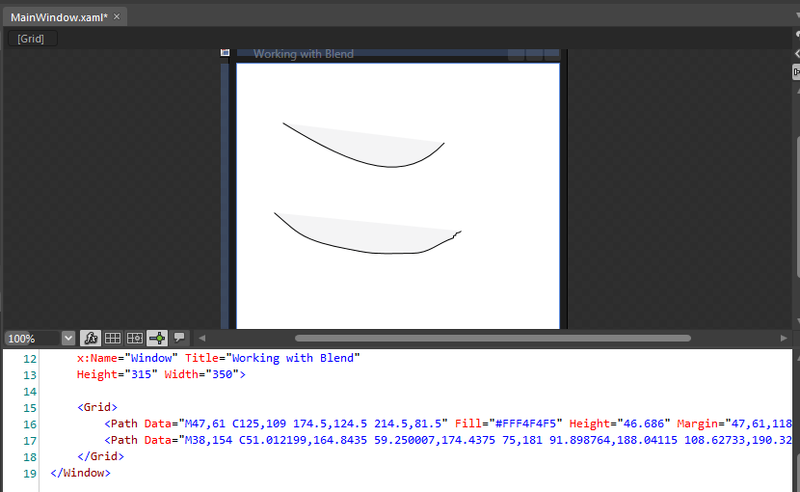 Using either tool in Blend results in the Data attribute of a Path element being set to a string containing markup that represents individual drawing commands. In the example below, the first Path was created using the Pen tool, while the second Path was created using the Pencil tool. Looking at the Path elements in XAML, there’s no information telling you which tool Blend used to create the corresponding XAML. You can also use the Direct Selection tool on either Path to modify individual points. The path created using the Pencil tool will typically have more points, since it puts down a series of points as you drag your mouse pointer.